“I Got Played” – Connor and Oliver attempt to secure a church for their wedding to appease their moms. 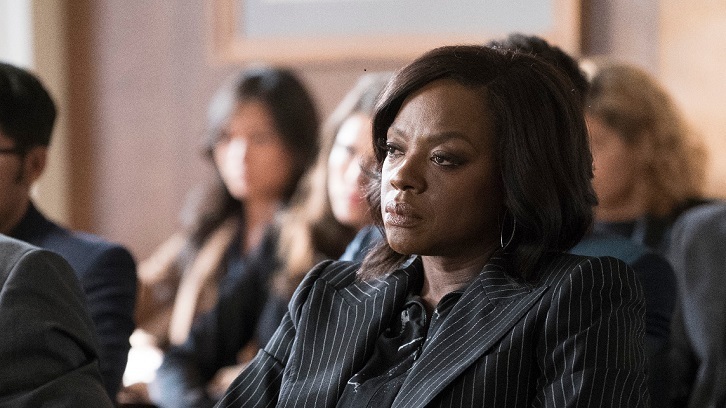 Meanwhile, Annalise and Nate continue their quest for justice in the face of endless obstacles and grave circumstances, and Annalise begins to doubt the governor’s dedication to her cause, on “How to Get Away with Murder,” THURSDAY, NOV. 8 (10:00-11:00 p.m. EST), on The ABC Television Network, streaming and on demand. Guest starring is John Hensley as Interim D.A. Ronald Miller, Heidi Sulzman as Minister Molly Keener Clint Jung as Ryan Stack, Lisa Kaminir as Dr. Maureen Groff, Laura Innes as Governor Lynne Birkhead, James Ortlieb as Judge Dennis Cruz, Larry Tazuma as jury foreperson, Teya Patt as C.O. Paula Gladden, Julienne Irons as Paige, Eric Ritter as dude and Lisa Dring as Danielle. “I Got Played” was written by Maya Goldsmith and directed by Eric Laneuville.